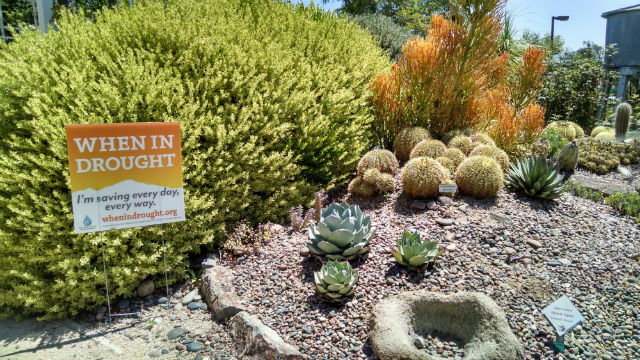 The mayors of six San Diego County cities Monday called on residents to immediately cut outdoor watering to two days a week amid California’s record drought. 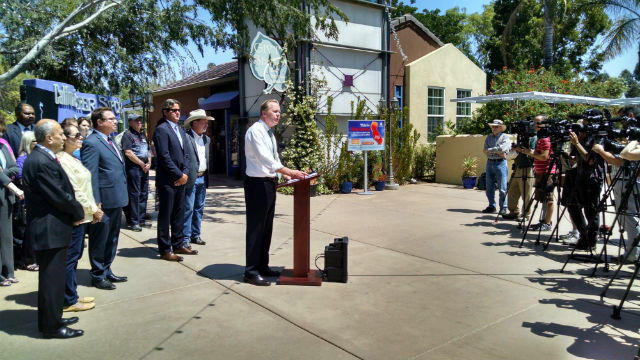 Faulconer was joined by the mayors of El Cajon, Escondido, Imperial Beach, Lemon Grove and Poway at the Water Conservation Garden at Cuyamaca College. Water districts in San Diego County are under a state mandate to reduce water use by 12 to 36 percent beginning Monday. Watering should be scheduled only after 6 p.m. or before 10 a.m. and be limited to 5 minutes per sprinkler station. The mayors gathered at the five-acre Water Conservation Garden because of its role in helping San Diegans save water. It was created during a series of severe droughts in the 1990s. “East County has really been leading this effort through this garden,” noted El Cajon Mayor Bill Wells.